It's my first food review for The Daily! The place we went today was a little gem situated at the sketchy end of the Ave. Definitely worth the long walk. 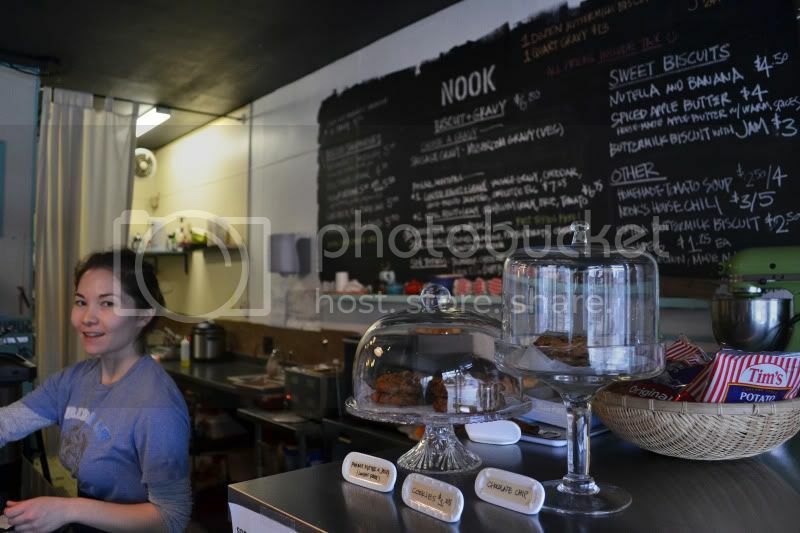 Nook specializes in biscuits and gravy, and after taking a spoonful of the recommended biscuit and gravy topped with mushrooms, I knew I had stepped into a whole new world. Yup, before today, I had no idea biscuits and gravy existed. 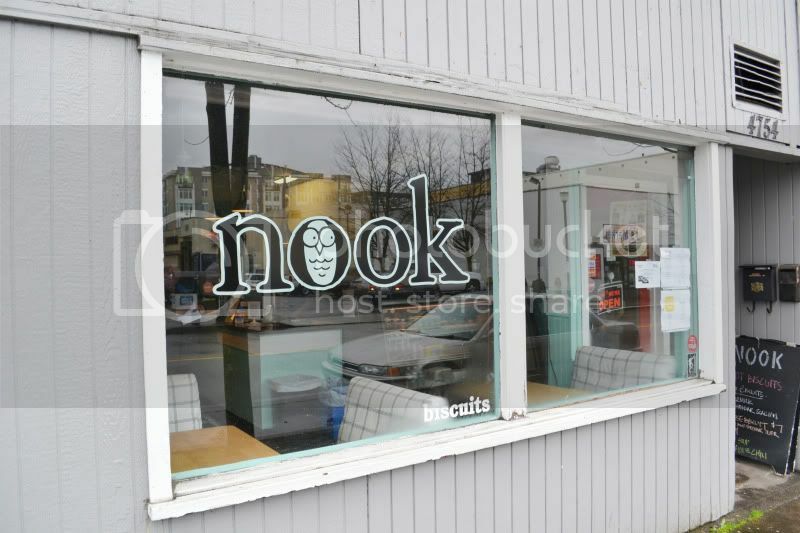 Nook is located at the corner of University Way and 50th. 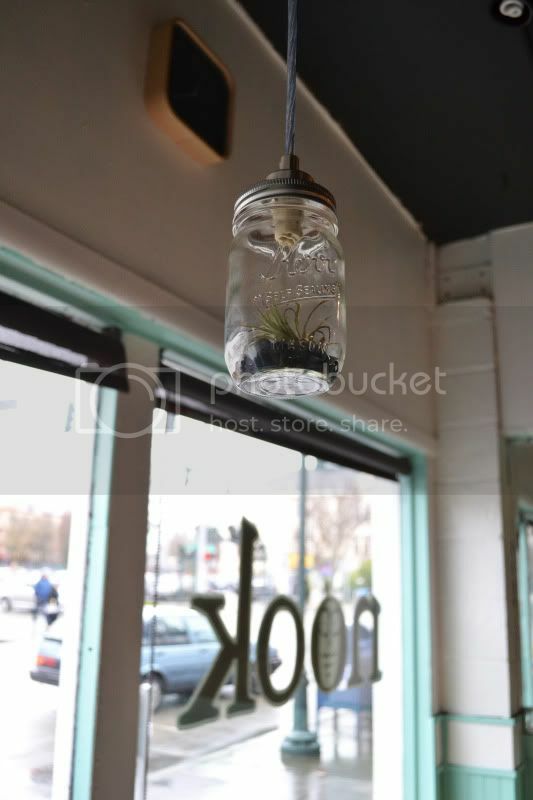 Plants inside mason jars were hung from the ceiling, a nice little touch along with the calming turquoise walls that made the whole place feel cozy. 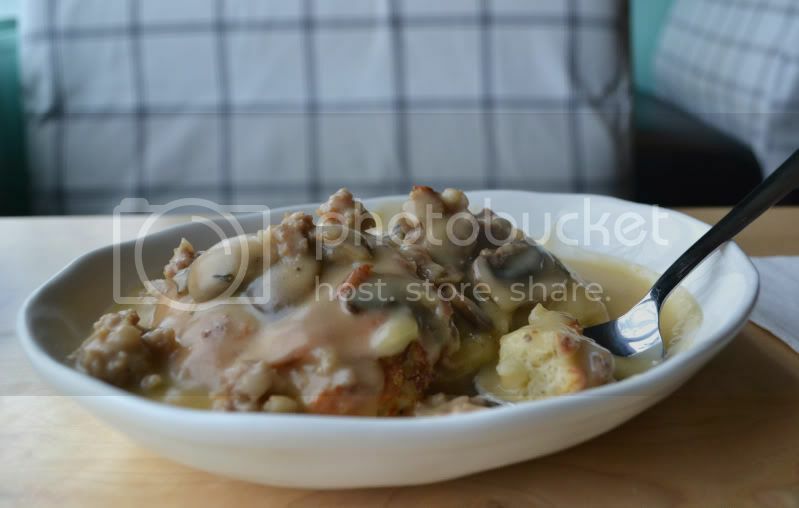 The biscuit and gravy topped with mushrooms. It was delicious. 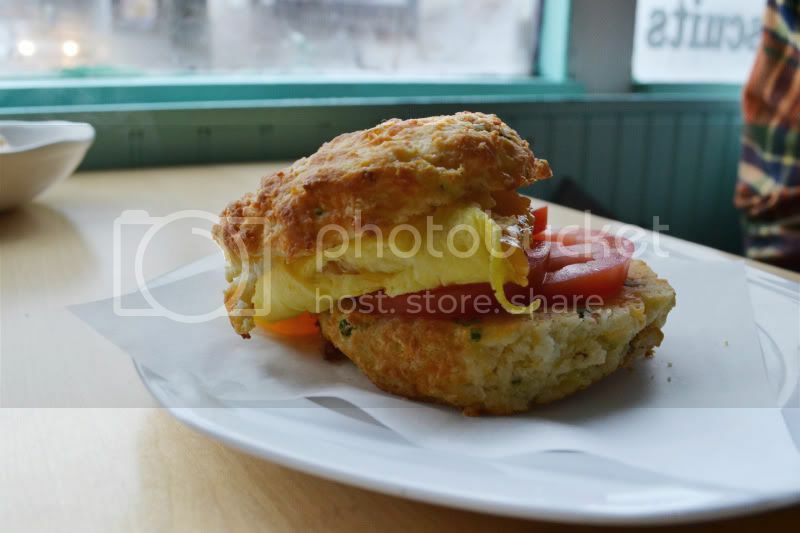 The egg sandwich, also delicious.